The medical industry has always collected a huge amount of data. This has evolved from paper laden processes into today’s massive electronic data stores. The information is often corralled into different repositories controlled by individual doctors’ surgeries, hospitals, clinics and administrative departments. Hospitals are being driven to invest in analytics for many reasons, but two factors seem to dominate everyone’s strategic plan: (1) healthcare reform; and (2) changing reimbursements. Today, provider organizations need for data-driven quality and cost improvement is an imperative to maintain fiscal stability and create leverage for evolving payer models. Healthcare reform has impacted virtually every healthcare provider and the industries who support patient care. Facilities constantly adjust their strategic plans to best position themselves among providers. Health care costs are driving the demand for reform. U.S. health care spending has outpaced GDP growth for the past several decades and exceeds spending in any other developed country. Despite being more expensive, according to the Organization for Economic Co-operation and Development (OECD), the US Health System ranks last among eleven countries on measures of access, quality, efficiency, and healthy lives. Current reform efforts are focused on leveraging healthcare data to provide better care at a lower cost, while expanding easily accessible healthcare services to a wider population than ever before. Changing Reimbursements – Can Anyone Keep Up? 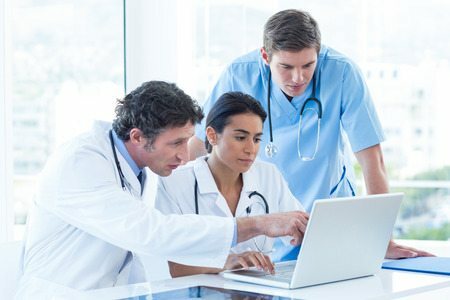 Health Insurance companies, Medicare, and Medicaid are all shifting from fee-for-service compensation to value based data driven incentives that reward high quality, cost effective patient care, and meaningful use of electronic health records. The move away from fee-for-service payment models dramatically increases financial risk to an organization. Providers are required to fully understand not only your clinical performance but your operations performance and financial outcomes – all play a role in attaining maximum reimbursement for services provided. There is a move toward evidence-based medicine, which involves making use of all clinical data available. Capturing and bringing all the information about a patient together gives a more complete view for insight into care coordination and outcomes-based reimbursement, population health management, and patient engagement and outreach. Between healthcare reform and the age of consumerism, patients are experiencing unprecedented changes in their cost-sharing – leading to significantly higher deductibles and co-payments. Facilities who improve their data analytics ability to harness data from payer contracts, pricing for procedures, patient insurance eligibility and anticipated services being performed are well positioned to determine a patient’s liability before performing a procedure. Reaching out to patients in advance of scheduled appointments to review estimated patient liability is both a proactive patient satisfier and increases collection percentages, especially if you offer an opportunity to prepay for situations with a substantial out-of-pocket responsibility. This avoids surprise for the patient and provides an opportunity for the healthcare provider to offer support in understanding an increasingly complex environment, often at a very vulnerable time for the patient. Figuring out what to do with all the data that healthcare providers find themselves swimming in may not be easy, but the challenge is certainly worth tackling. Healthcare organizations that successfully define and implement data analytics programs can significantly enhance both their financial and clinical outcomes. With healthcare reform, rapidly changing reimbursement models and other threats on the horizon, healthcare organizations must maximize their data to find efficiencies wherever possible. Are you investigating ways to maximize your data to find efficiencies? Contact Soriant Solutions today.